Will I get to review my return before it is filed? 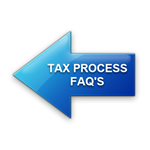 Yes, we always provide you with a draft return for you to authorize filing before we submit your returns to the taxing authorities. We won't file without you first having an opportunity to review your draft return!